Paris in the 1920s is home to all kinds of people. There’s the veiled lady with a face like a cubist painting, and the acerbic art critic who looks suspiciously like a stuffed toy panda. 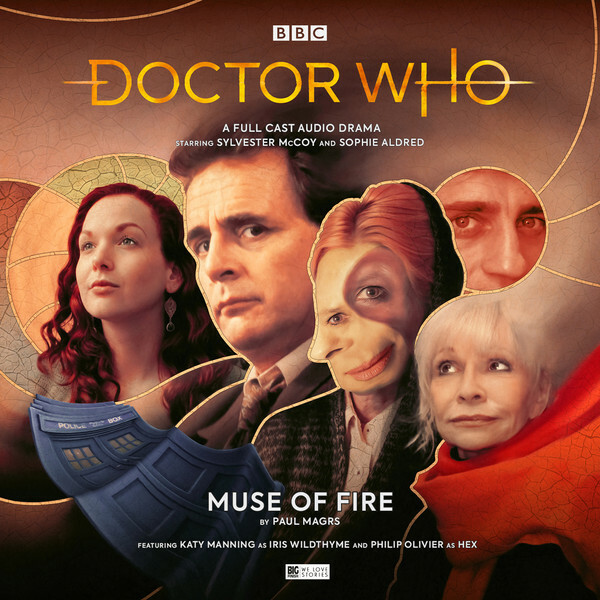 But there’s a mystery that lies beneath the city’s cheerful bohemian veneer, and the search for the truth could tear one of the Doctor’s oldest friendships apart... The delightfully idiosyncratic Iris Wildthyme has been cropping up at Big Finish for years, meeting multiple Doctors. This release marks her first encounter with the Seventh Doctor, and the contrast between the methodical Time Lord against the effervescent and fanciful Iris should make for an intriguing combination. Coming from the brilliantly warped mind of Paul Magrs (The Zygon Who Fell To Earth), this should be a Parisian adventure to remember!